A loan shark is a person or firm that lends money at exorbitantly-high interest rates. The term is somewhat ambiguous – some sources say the lender’s activities are illegal, while others include legal lenders who charge considerably more than average. The act or practice of loaning money at excessive interest rates is known as ‘usury’. Many loan sharks are predatory; they will seek out vulnerable people in financial difficulties who have been refused credit by banks and are so desperate they would sign virtually anything to get hold of funds. The borrower then signs up to a loan with outrageous interest rates and/or charges. Loan sharks have existed throughout history. In 19th century America, ‘salary lenders’ would seek out people with a good credit risk and issue loans. To coax the borrowers into paying up, they would threaten legal action, which was a bluff because the loan was illegal. As borrowing was frowned-upon at the time, they would also resort to public shaming to get their money back. Anthony Salerno was a mega loan shark in 20th century America. In the US in the 20th century loan sharking was mainly run by criminal syndicates, including the Mafia. When the prohibition was lifted in 1933, many former bootleggers who needed a new source of income got into loan sharking. By the 1960s, loan sharks in America had become much more sophisticated, and could gather data on borrowers to determine risk and make sure they did not try to pay off one debt by borrowing from rivals. Anthony Salerno (1911-1991), known as ‘Fat Tony’, was often seen with his expensive Cuban cigars and wearing a stylish fedora. 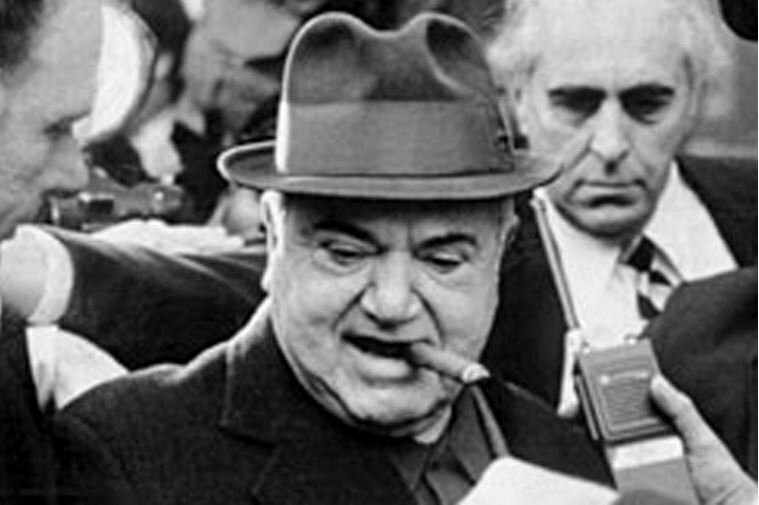 He was the underboss to the Genovese family. He was one of the Mafia giants involved in numbers rackets, gambling and loan sharking. By the late 1940s his illegal operations grossed more than $50 million annually. In Shakespeare’s play ‘The Merchant of Venice’, written in 1596, the character ‘Shylock’ is portrayed as a greedy loan-shark type moneylender. If you are being threatened by a loan shark, tell the police. According to the British government and other agencies, between 165,000 and 200,000 people in the UK owe money to loan sharks at any one time. Illegal loan sharking is treated as a serious crime by British law enforcement, because of its links to organized crime and serious physical violence. Payday loans – high interest loans that borrowers pay back when they get their wages – which are legal in most cases, have been described in the UK as ‘legal loan sharking’. New legislation came into force in the UK in January 2015, capping payday loan firms to an interest rate of 0.8% per day and £15 on all fixed default fees. Before the new law came in, Wonga, a payday loan firm, used to charge an interest rate of 5,853% APR. The Citizens Advice Bureau, a British charity, says loan sharks typically work from home, charge extremely high interest rates, and rarely give you much paperwork to confirm the arrangements of the loan contract. Loan sharks typically take other illegal action to recoup the money they have lent you, such as threatening violence, or taking away valuables and credit cards. In some cases they have been known to force defaulting borrowers into drug dealing and prostitution.